Quick Draw Toolbox, the toolbox that comes to you. Never climb on your flatbed again to get your tools out of your box. 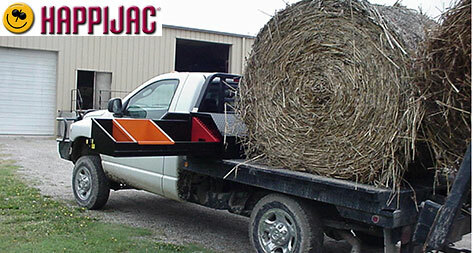 Even if your flatbed is fully loaded you can get to your tools. We have a toolbox for any application—an angled box for your bale bed so that your round bale can fit right up next to it, a square box so you can mount a welder or air compressor on it for your service truck, and if you need more room, we have a 9 inch extension box to bolt underneath them for more storage. If you don’t have a flatbed we have a box designed for a regular pickup that sits up on your bed rails. All boxes slide out 60% in both directions so that you can reach the middle from either side of the truck. All boxes can be made in Diamond Plate Aluminum and all boxes are Made In The USA!